On paper, they have nothing in common, but Joe is beautiful… glorious, and when an accident puts his life in Harry’s healing hands, the whisper of true love is inevitable. If the trouble that put the farm on its knees in the first place doesn’t get in the way. What a beautiful story! Complicated characters, a wonderful sense of place, and just the right amount of angst combine for an almost perfect romance. When a celebrity physiotherapist from London needs quiet to write a book, he decides to rent a room on a struggling family farm in Cornwall. Harry is immediately intrigued by his gorgeous, surly landlord as he finds himself quickly becoming part of life on the farm. The characters in this story are absolutely wonderful. I loved Joe and his secretive, more than slightly dysfunctional family. Despite seriously strained relationships, the Carters are a fiercely loyal clan and I loved their complicated and intense interactions. The contrast between the rural Carters with their Romany ties and Harry with his unfathomable urban hipster ways is brilliant. Before Harry and Joe can connect, they have to trust each other, and Harry has to start to understand the Carters and the way they live. This process is alternately comical and heartbreaking. I love the compromises Harry starts to make and I love the way Joe slowly starts to let Harry in. 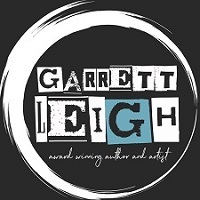 As far as Garrett Leigh books go, this feels more like her wonderful Porthkennack books than some of her grittier and/or kinkier writing – even though it is marketed as a sequel to Dream. I tend to love Garrett Leigh’s writing in all its many forms but there is something special about the way she captures the South East of England and the people who live there. Here, Whisper farm comes to life perfectly and I fell fast and hard for Joe’s messy family. This is the second book in the series but can be read as a standalone. I enjoyed book one but this one fell short for me. I thought the book started slow, and honestly kept being slow. I found myself skimming pages because there was a lot of inner monologue, when I prefer dialogue. I didn't connect with Joe at all and barely with Harry. I tried, but it just didn't happen. The longer the book went on I found myself just wishing that it was over. I needed more dialogue and more happy Joe and Harry. Hmmm, this is the second book in this series and despite the first one not being a fabulous book for me, I wanted to give this one a try too. Unfortunately, this one was more ho-hum than the first for me. The story plodded along like the injured horses that are mentioned in this book. Joe and Harry are a strange couple. Joe is struggling with his business of rescuing horses. His family is more than willing to help, but the job is tough and there is no money coming in, just going out. I'm unsure of the issues surrounding that, as it's never truly discussed. There is some history with his dad and he just can't seem to let go and it's all wrapped into his grandfather's death. However, none of that is ever really talked about. Then you have Harry. He is somewhat of a celebrity and he needs a quiet place to write his book. He finds and rents a room at Joe's farm. When he sees the farm struggling, he pitches in to help and finds that he was missing something in his life. The attraction to Joe is almost immediate. You also get the feeling that there is something going on with Harry and his past – he alludes to having an eating disorder, but it's never truly discussed. Overall, the relationship is slow moving and strained for a lot of the book. In all honesty, I related more to Joe's sister than either of the two main characters. This was just a meh story for me. This is the second book in the series, and is linked, but could be read as a standalone. That said Dream is excellent, so don't miss out! This book brought together so many issues, and yet remained at heart, a wonderful romance between two very different men. I loved the setting of a horse rescue farm in the wilds of Cornwall, and the elements of Roma and Traveller that are woven in, but without judgement. I loved the horses, their sensitivity and their wildness, which reflected their carers' behaviours too. Given how difficult it had been to get Harry away from his patients, and knowing that Joe could never leave the farm gave me a few moments of panic, but Ms. Leigh, as always, managed to finesse a solution which was both brilliant and inspiring. I am looking forward to seeing where this series goes next, but certain that I will love it! Thank you, Ms. Leigh, for another great read. Reviewers on the Wicked Reads Review Team were provided a free copy of Whisper (Skins #2) by Garrett Leigh to read and review for this tour.